Yes, that is the way it works. You can land Fighters or Bombers in any territory your alliance held at the start of your move. @Fleetwood: I think the recommended one was bomber, 5 inf, 2 tanks but all inf plus bomber would work as long as Russia can’t advance. Really, the key is that the med ships go west, the Baltic navy is in z7 with the original Atlantic sub, planes are massed at Western Europe, and Germany buys a bomber. I attached the paper if you’d like to reread it. Cool…thanks! Both land and naval units that engage in combat remain in the area of combat and cannot be moved in the non-combat phase. Retreated units have to stay in the territory/sea zone they were retreated to. The only units that can move after Combat (and in fact HAVE to move in almost all cases) are aircraft. If you need a basis in reality for this rule, consider those forces to be being re-supplied, repared, reinforced, replacing casualties, etc. as well as securing the area, reparing damaged infrastructure (bridges, airfields, etc) during the non-combat phase. For retreated units, consider them to be regrouping, replacing lost equipment, etc. @gnasape: Have you thought of compiling all the questions and answers and having it stickied somewhere so that we can just find it and read through the various scenarios and questions that people have? Larry’s thought about creating an on-line Q&A database, but I don’t know if it will ever happen. @gnasape: Also what about a 1-800-AAN-SWRS hotline number? That way none of our games have to be stopped for a ruling. Naaah. @gnasape: Not sure if anyone asked but what is your AA background? I’m imagining a guy in white robes with flowing beard sitting in front of a computer eagerly awaiting a question. I could be totally wrong, maybe it’s black robes, who knows. It’s grey robes. I’ve been playing A&A since 1984, and became the “Official Answer Guy” at Larry Harris’s site in 2005. Since then, I’ve written the FAQs for Battle of the Bulge and Anniversary Edition, and helped write the FAQ for Guadalcanal. I was also a playtester for Anniversary, and helped write the rulebook. 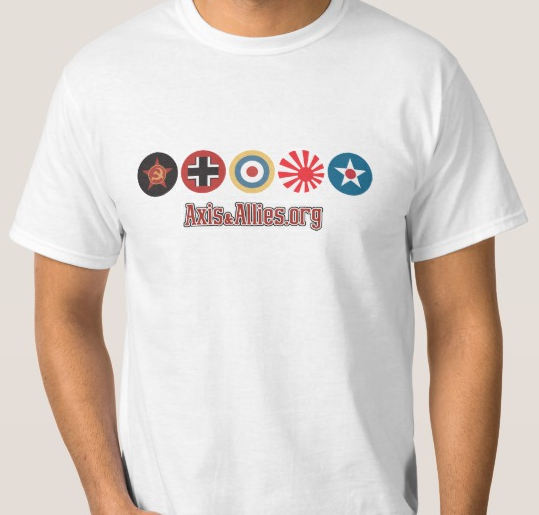 Recently, I revised the rulebook for A&A 1942.